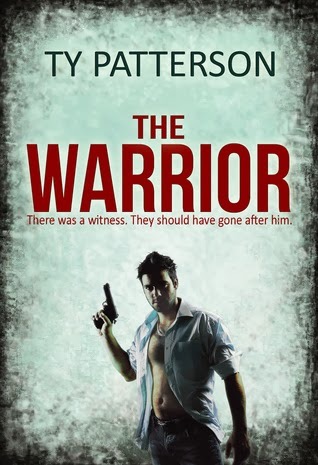 If you enjoy reading thrillers from the likes of Lee Child,James Patterson, Harlan Coben, Robert Crais, you will enjoy The Warrior. When Private Military Contractor Zeb Carter witnesses gruesome crimes in the Congo, he can’t just walk away. Plagued by the scale of the crimes and the helplessness of the victims, he is bent on his own private justice. What transpires is a fast pace gripping journey that stretches from the Congo to New York, into the world of corrupt politics, influential politicians who want him dead, and government agencies who are against him. This breakneck paced read is an edge-of-your-seat,exothermic thrill machine, with a plot so full of surprises it will carry your imagination long beyond the final word. Where do I even begin? This book was just so simple and yet so full of contradictions. Simple is good. Nothing is wrong with being simple. Unfortunately, simplicity was also one of the biggest problems of the book. The book is about Zeb, a private military contractor, who witnesses a massacre and decides to hunt those responsible. On the premise part, the book was beautifully done and I had no problem with it. Some of the events were a bit of a stretch but this is fiction which makes it forgivable. The author needs to sometimes stretch the truth. :P The pacing was very well done. There wasn’t an abundance of action scenes and I didn’t feel any sense of dragging in the story which I really really REALLY liked. It was also refreshing that not every chapter had explosions (Haha). Explosions are good… too much explosions would kill everyone else. Those were the good parts. My problems here would be the characters. There was very little character development and most of them were about Zeb playing the Tabla which for me didn’t make any sense at all. I couldn’t really connect to any character with the exception of Broker. Broker was just pure awesomeness. He reminded me of Mat from WoT. His scenes were the ones I loved most and IMHO the most enjoyable parts of the book. The rest of the characters were just flat. I couldn’t even remember most of them. They were so forgettable that it wouldn’t have made much of a difference if Connor was called Reporter the entire novel. My second problem would really be Zeb. I think this is the first time that I couldn’t connect with the main character. Throughout the entire novel, we are repeatedly told and shown how godlike and invincible Zeb is. This was such a turn-off for me since it removes the vulnerability in the character. You don’t really feel that Zeb is in any mortal danger in any of the scenes. It would have been great if there were instances where Zeb was hindered. It would have made a more compelling read instead of having almost everything going his way. 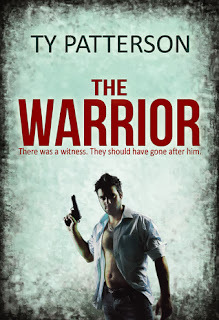 Overall, The Warrior wasn’t a bad book though; it could use some more character developments. I would recommend this to those who like a simple action/thriller story. For those looking for something deep, you won’t find it here. If there is a sequel, I’d follow it simply because of Broker. Interesting review Tomi. Zeb really does sound Alpha but that means everything is easily overcome. Too bad there wasn't much character development.